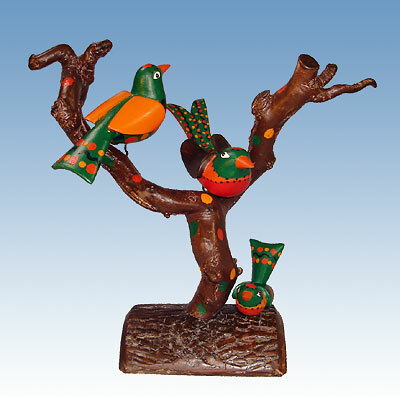 Three handcarved birds perched on a free form limb from a Harry Lauder walking stick bush. I spend a lot of time searching for great natural tree forms. This tree is a one-of-a-kind that I like and lends itself well to my birds. My birds and bird trees, being a bit of a crossover from 19th century folkart carvings mix well with antiques and today's decorating trends.